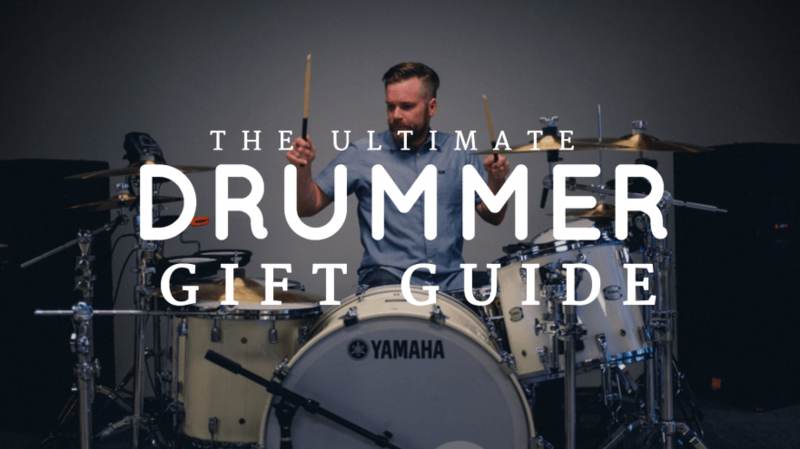 Just in time for Black Friday – It’s the Ultimate Christmas Gift Idea List for Drummers!!! Akaso 4K Action/Waterproof Camera– $75 – Every drummer wants a discrete camera to film themselves while they play. While a GoPro is a great choice, not everyone can afford to spend $500 on the latest model. That’s where this little guy from Akaso comes in! Why not buy your little drummer boy/man a few of these cameras with the money you’ll save! The GoPro Killer – YI 4K Camera – $299 – If you are looking for a step up in options and quality but still want to save money on a great camera, then you need this one! More comparable to the latest GoPro, it will not disappoint you. Pearl Air Suspension Floor Tom Leg FEET – $19.99 – These guys are incredible. They allow your floor tom to “float” on air, thus allowing it to resonate more freely. They do work. I love them. Your floor tom will sound much better with these. Simply pull off the rubber feet on your old floor tom legs, and push these babies on there! DONE! RocknRoller Drum Carts – $179/Price varies model to model – This is one of the greatest inventions of all time – at least for drummers or musicians that have to cart gear everywhere. I use this cart every week, and it has saved me thousands of trips to my car. I can get ALL my drum equipment on this baby. Roland Triggers – $79 – While I don’t use these guys to trigger sounds from my live drums, our audio engineer uses them to control the gate set on the rack and floor tom microphones. This does wonders for only allowing the microphone to pick up actual drum hits and not ambient cymbal noise/bleed! They could also be really fun to use in conjunction with the SPD-SX to trigger sounds! Roland Spd-SX – $799.99 – Yes, this is very expensive…but it’s incredible and worth it. Where do I even begin…this pad is capable of doing so much. I use it in conjunction with Ableton to trigger sounds (which is about 1/10 of what it is capable of doing!) You can load tracks directly into it and launch them from the pad without any other program, or you can connect it via midi to Ableton and have more fun! Pro Gaffers Tape – $25 – This is the ONLY gaff tape as far as I’m concerned. I use this to gaff anything and everything that needs to resonate less. I use this on my cymbals and drum heads. This brand is the best. Other brands leave a sticky residue when you peel it up after it’s use…Not PRO Gaffers Tape. Don’t settle for a lesser brand of gaffers tape.